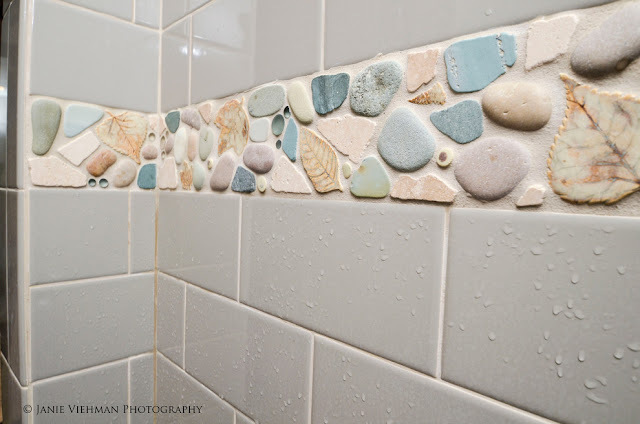 Today we wanted to showcase a funky and unique bathroom border we created that was installed in Park City, Utah. Using stone, glass, and fun ceramic tiles we feel as though we were able to capture the fall season quite well! In the photos above you're able to get a close look at what went into this border. 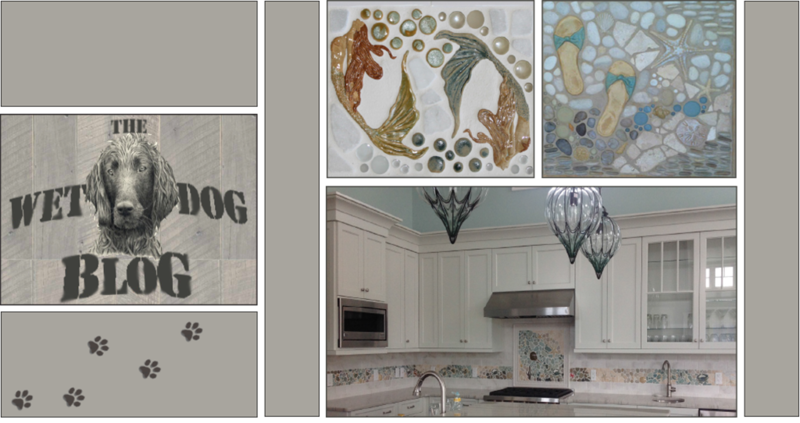 Pebbles, skipping stones, ceramic rounds, glass, a few of our ceramic leaves, and of course, jumping dogs! 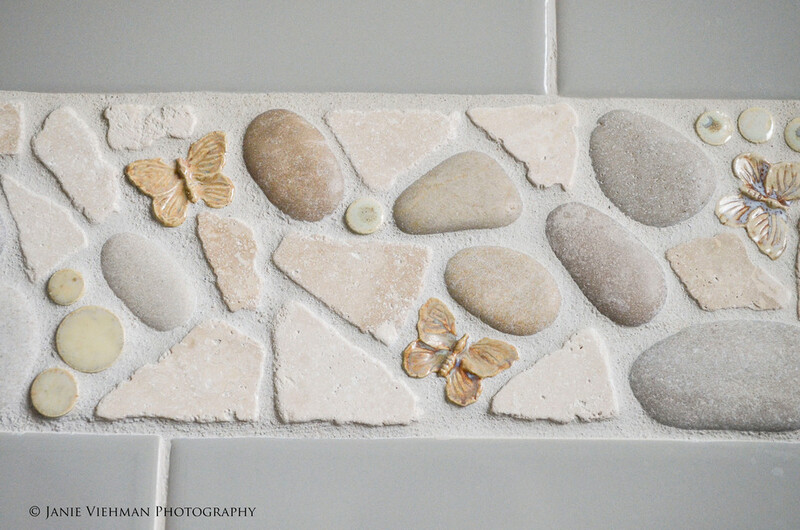 Another close shot of the bathroom border, this time showcasing the little butterflies scattered throughout. A bit of a wider angle here. 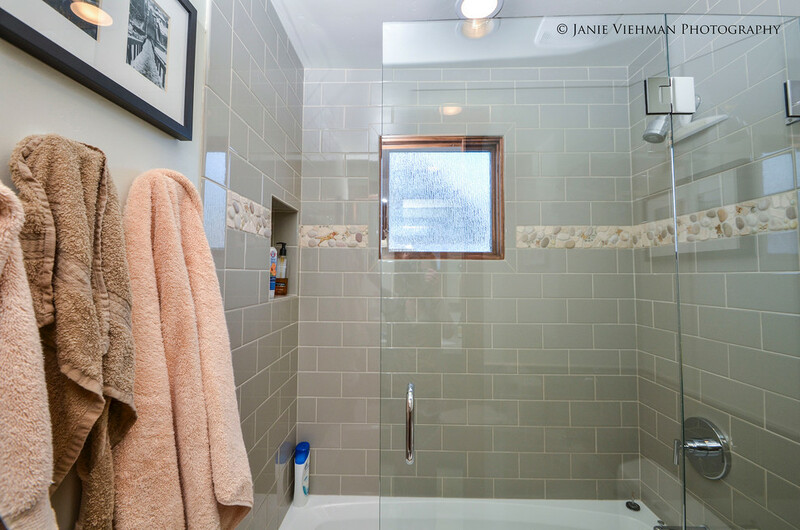 Very clean and sophisticated while still keeping the cozy homey feel. We had a lot of fun creating this border!